It has always been a pain to prefix ‘0’ and ‘+91’ while dialing any STD number. But according to a new directive issued by the DoT this will be a thing of the past soon. Many top telcos in India have already implemented this while the others will follow suit soon. It’s time to say goodbye to ‘0’ and ‘+91’. Now, you wouldn’t need to differentiate while dialing local and STD numbers. Just input the mobile number without any prefix and press the dial button. That’s it. 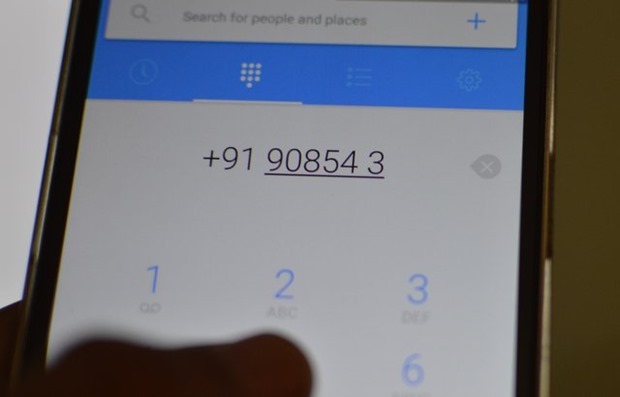 Mobile phones subscribers will now be able to dial any STD number without the need to prefix either ‘0’ or ‘+91’. We all have been longing for the nation-wide MNP ever since the government introduced local MNP- the ability to switch operators within the home telecom circle without changing the mobile number. This new directive of DoT will bring India one step closer to full Mobile Number Portability. How Will Nation-wide MNP Work? The complete nation-wide MNP should work similar to the local MNP. The subscribers will be allowed to retain their mobile numbers if they move to another state within the territory of India. The procedure would also be similar to what is currently applicable for local MNP. You will first have to visit the office of a telecom operator, and submit a form along with a permanent address proof and some fee. The current fee for local MNP is Rs. 19 (excluding first recharge, etc.). So, expect the charges for inter-circle MNP to be somewhat more. The telecom operator will issue you a new SIM which will activated post the de-activation of your current SIM. This complete MNP will allow the mobile subscribers to retain their numbers even if they are shifting to another state. It will especially be very useful for students who go out of their home state for higher education. It has been reported that many telecom operators in India have already implemented this but some are still having technical issues with its implementation. That’s why DoT has extended the deadline for the implementation by 2 months. The inter-circle MNP along with this simplified dialing pattern will mean that we don’t face issues such as ‘number non-existent’ or ‘incorrect number’ in future. We have all heard these irritating IVRs whenever we forget to prefix ‘0’ or ‘+91’ while dialing any STD number. Keeping the recent extension allotted by DoT to the telecom operators, all telcos must implement full MNP by the end of July 2015. If you are planning on moving out of your home state due to any reason say higher education, job transfer, etc. then we would advise you to keep using your current number on roaming for a few months (hopefully till July end) till the nation-wide MNP is implemented. Changing your number would lead to many more issues like updating your bank and email accounts, and also texting your friends, colleagues, and relatives about the same. Furthermore, we all have an emotional connection with our old and precious mobile number, don’t we?